I’ve known people with colicky babies, but I never knew how terrible colic really was until I had a colicky baby of my own. By 2-weeks-old, my third child had full-on colic — as in, screaming for hours, not sleeping, and writhing in pain colic. It was horrible. The pediatrician told me that he would grow out of it; however, my gut told me that something was causing the colic, and if I got to the root of the problem I could help my son feel better more quickly. 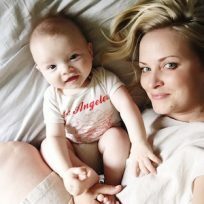 I went in search of answers and found some colic remedies that really helped alleviate my son’s pain (and, let’s be honest, mine too!). And here’s the thing: We ultimately discovered that reflux was causing Quincy’s colic. If you think your newborn has colic, try the colic remedies below. Why wait it out, if there’s something simple you can do to make it better? Just be sure to check with your pediatrician before you give your baby any new supplement or medicine, even if it’s all-natural. 2. Try something to help relieve your baby’s gas. With your pediatrician’s permission, a gas reliever can make a big difference. Here are some things that worked for us: FridaBaby Windi is unconventional, but brilliant; Gerber Soothe Probiotics is formulated to help with both reflux and food sensitivities, according to our pediatrician; Hyland’s Baby Gas Drops are all-natural; and Dupois Infant Colic Remedy gave Quincy relief from gas and seemed to help make pooping less painful. 3. Look for signs of reflux (or silent reflux). After cutting dairy and using the above products, Quincy was feeling good more often than bad. But he was still struggling a bit so I had him examined for reflux, which he had, as it turned out. He was spitting up a ton, would still scream if he was laid down within an hour of eating (he really couldn’t be laid flat ever), and absolutely hated being in his infant seat or anything that put him in a curled position. He also would wake himself up with hiccups or spitting up about two hours after feedings. While he spit up breastmilk during and after feedings, he spit up a lot of clear fluid a couple hours after feedings. Reflux babies are often underweight, but Quincy was gaining weight well. He would nurse more frequently because it helped soothe the burning, but then eating would make the reflux worse. (Some babies with reflux don’t want to nurse because they realize that eating is what’s causing them pain.) 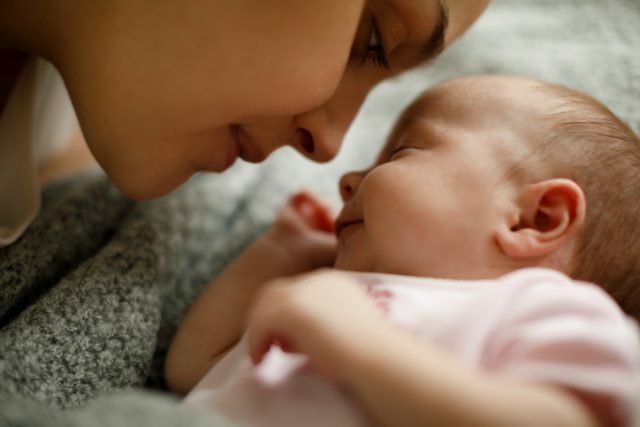 So know that your baby may still have reflux even if she’s a normal weight. 4. Consider taking your baby to a Chiropractor. Before we realized Quincy had reflux, I took Quincy to my chiro. My son’s body was well aligned; however, alignment issues can cause a range of problems. It’s worth trying if all else fails! These are just a few suggestions to try to bring some much needed relief to your baby and your family. You don’t have to just wait for your baby to grow out of colic. Hang in there!